If Pixie Dust could be bottled and sold in stores, I would swear that Jackie bathes in it. On second thought, I’m convinced that it runs through her veins. I’ve met a lot of people in my life and I can honestly say that Jackie is one in a million. Never have I met someone who is so full of pure, unbridled passion and genuine enthusiasm. Simply put, Jackie bubbles over with giddiness and love. I am so blessed that she is my friend. 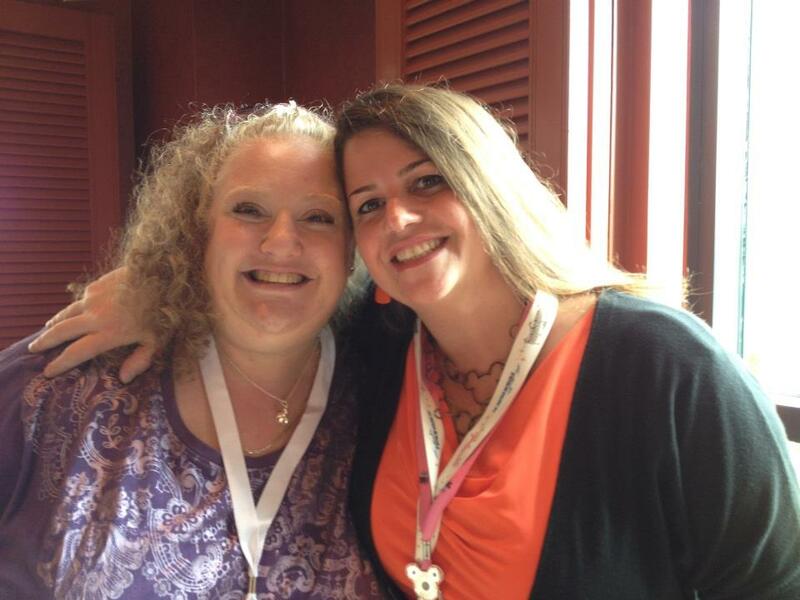 The first time that I met Jackie in person was during the Moms Panel Fan Meet in October, 2010 at Epcot’s Odyssey. We had chatted a few times online, and I was so excited to finally get the chance to meet her. That was nearly three years ago and I can’t imagine my life without Jackie in it now. My dear friend and fellow Panelist Marc had developed quite a friendship with Jackie prior to when he made the Panel. I knew she was very special to him and not surprisingly, it wasn’t long before Jackie stole a piece of my heart as well. 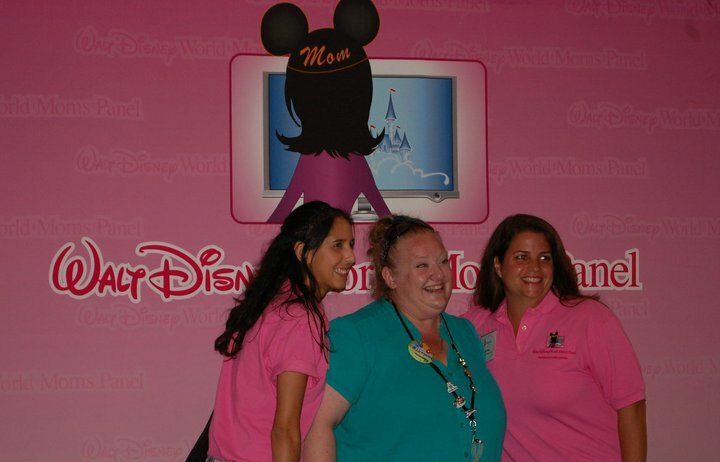 Jackie was an admin on the Disney Driven Life and I had contributed some articles to the site from February to May of 2011. 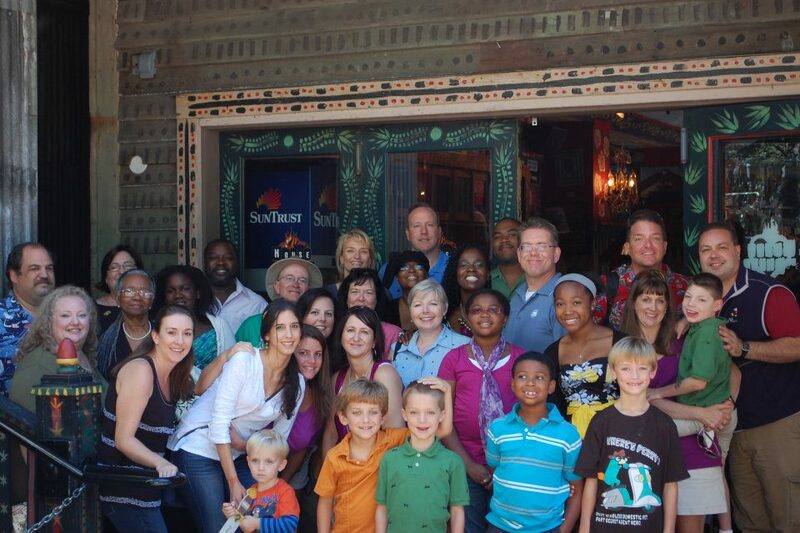 When the 2011 Moms Panel Reunion rolled around, a group of us had reservations for the House of Blues Gospel Brunch. In addition to Panelists and their families attending, we extended an invitation to other big Disney fans and bloggers who we knew would be in the area that weekend. Among those who attended were the Hidden Mickey Guy Steve Barrett and his wife Vickie, John Frost of The Disney Blog and Moms Panel Hopefuls Allison L and Jackie. We had a wonderful time together that morning. It was no secret that one of Jackie’s biggest dreams was to become a member of the Disney Parks Moms Panel. She made it to Round Two in the application process in 2010 and 2011. Jackie had endeared herself to many of us on the Panel and we kept our fingers crossed in hopes that she would officially join the family. I will never forget the day when I received that incredible phone call from Jackie last November! Her excitement was off the charts and I cried tears of joy for her. I just knew in my heart that she was meant to be a Moms Panelist and I was so very happy for her. 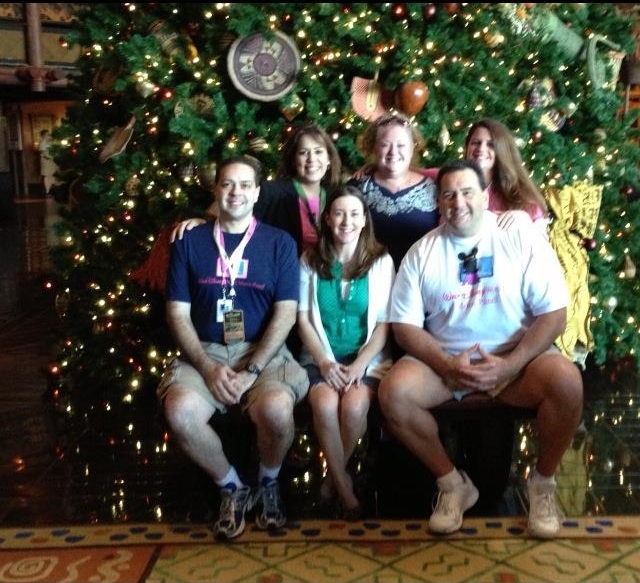 In December of 2012, Marisol, Chris, Marc and I were together for the New Fantasyland Grand Opening Press Event which happened to occur a day before the Moms Panel Training Weekend. Jackie and Allison L both made the 2013 Panel and they came down early. I can’t wait to share more about Allison soon, by the way. She is amazing too! 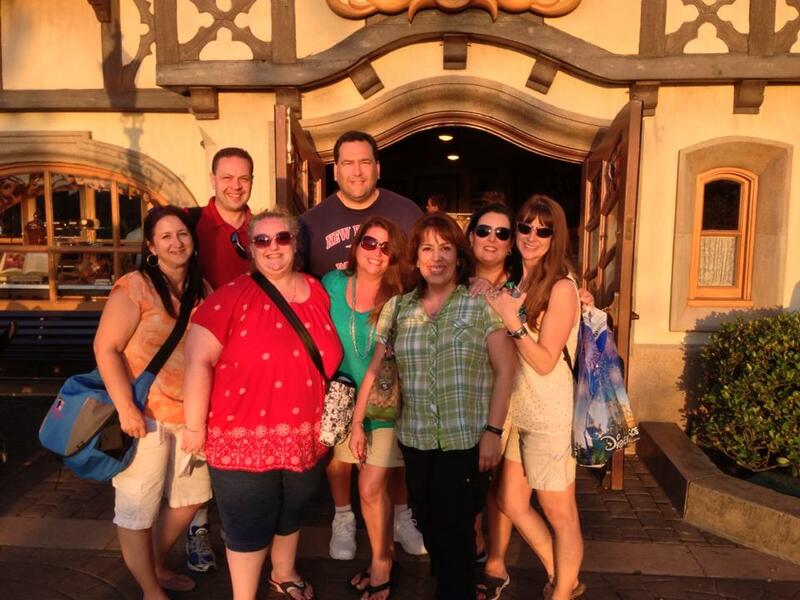 Here is a photo of Jackie and Allison with Marisol, Marc, Chris and I at the Animal Kingdom Lodge that day. The next day we had an unofficial “Welcome Luncheon” and I was thrilled to FINALLY be able to say that Jackie was “officially my sister”. In February of this year, my family took our first Disney Cruise on the Dream. We spent a few days at the Beach Club Villas beforehand and I was so excited to run into Jackie and her family on the Boardwalk one evening. This past winter, I dealt with some considerable heartache as I helped my Dad through a dark time in his life. As part of that journey, my brother and I flew to Florida in March, packed up our Dad’s house in less than 24 hours and drove his belongings north in a giant U-Haul. If you can imagine the amount of work and emotion that we poured into that weekend, you can might be able to envision how drained I was. Very late on the first evening, we ended up finding a little motel on the side of the interstate in Georgia. Jackie was sending me positive thoughts and encouragement via texts and I discovered that we were literally a few miles from her house. She woke up before the sun to come join my brother and I at the Waffle House for breakfast just to bring me some much needed hugs. I can’t begin to describe what that meant to me. Jackie was like a rainbow in the middle of a storm and I’m forever grateful. 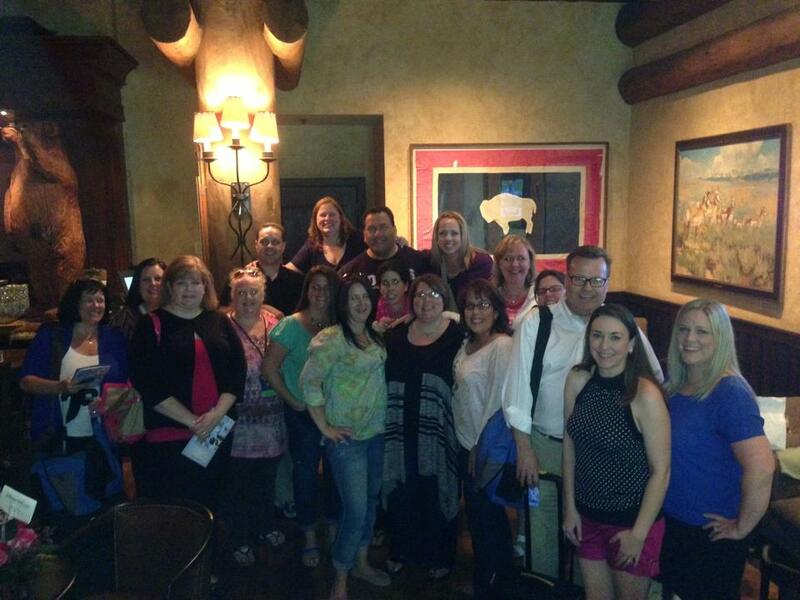 In April, a group of Panelists flew to Walt Disney World for a quick event. 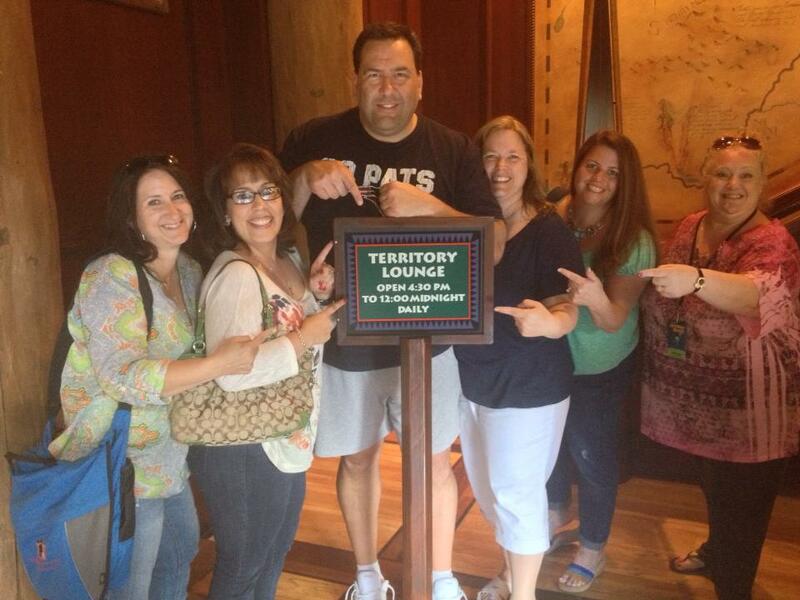 The first evening, we gathered at the Territory Lounge to sample the “Drunken Donuts”. They were delicious and the amazing company made them even better! If you haven’t ventured over to the Wilderness Lodge to try these yet, add it to your “must do” list! I love this Pixie Dusted Family! The weekend wouldn’t have been complete without a stop at Karamell-Küche. This summer I took my three youngest kids on solo trips for some special one-on-one time with each of them. During my son’s trip, Jackie, Marc and Marisol all stopped by for a visit. Marc informed me that Jackie had never ridden my very favorite attraction at Disney…the Tower of Terror. Naturally, we all decided that needed to change and she bravely boarded the doomed elevator with Marc, my son and I. She giggled the entire time. In fact, I can still hear her infectious laugh. 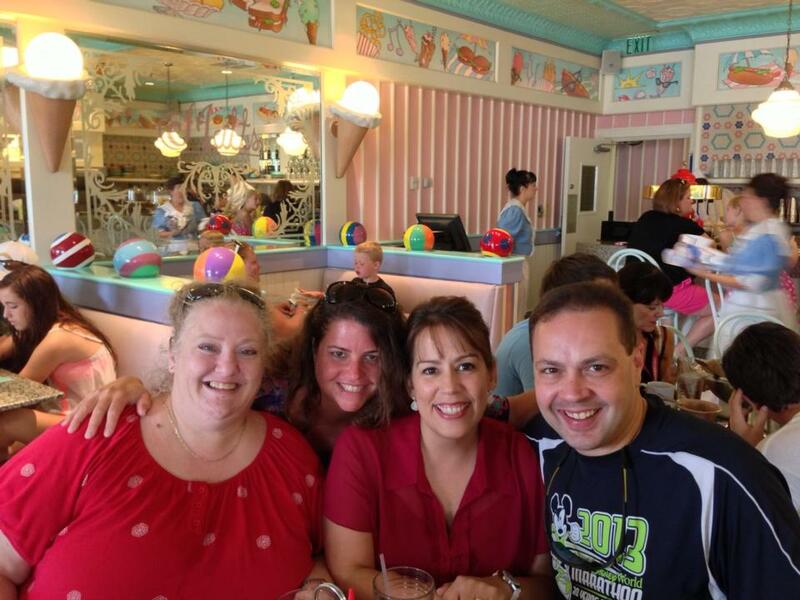 We then headed over to Beaches & Cream Soda Shop to meet up with Marisol for lunch. Jackie is the blessed Mom of 2 beautiful children…a teenaged son and a tween daughter. When they lived on the West Coast, her family enjoyed visits to Disneyland. They moved to Georgia a few years ago and recently relocated to Florida so they could be even closer to the magic. Jackie is a Member of the Disney Vacation Club, an Annual Passholder and she absolutely loves spreading Pixie Dust as she helps to plan vacations on the Disney Parks Moms Panel. I look forward to making countless priceless memories with sweet Jackie in the future. If you see her in the parks, be sure to say hello to her. Be forewarned though, once her potent Pixie Dust rubs off on you, you’ll never be the same. Her giddiness is contagious. This entry was posted in Disney Moms Panel Monday, Walt Disney World Moms Panel and tagged Disney Moms Panel, Disney Parks Moms Panel. Bookmark the permalink. You are so right Kaylene! Pixie dust does run through her veins! Her positive and wonderful attitude is contagious whenever anyone is with her! Love me some Jackie G.
LOVE this post. 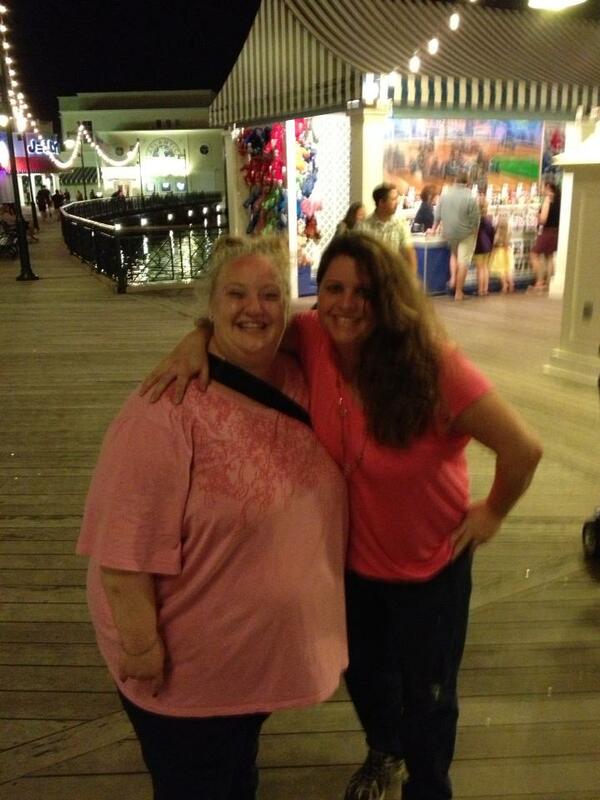 And I love Jackie….she’s one of my dearest friends and the world is a better place because of her. 🙂 Thanks for such a wonderful post!!!! This goes straight to my heart and I feel blessed to have met you and sweet Jackie at the Disney Parks Moms Panel FAN Luncheon back in September 2012! I have to tell you that upon being told there was no spot for me on the panel last November, the first question I asked my fellow peeps was if Jackie had made it. She just radiates sunshine and happiness and makes me so happy. Yes, her pixie dust and giddiness IS contagious! It was dream come true getting on the panel together with her after 5 times applying side by side each year! Wonderful post. I keep running into Jackie on social media. I would love to meet her some day. She looks like she would be so much fun! 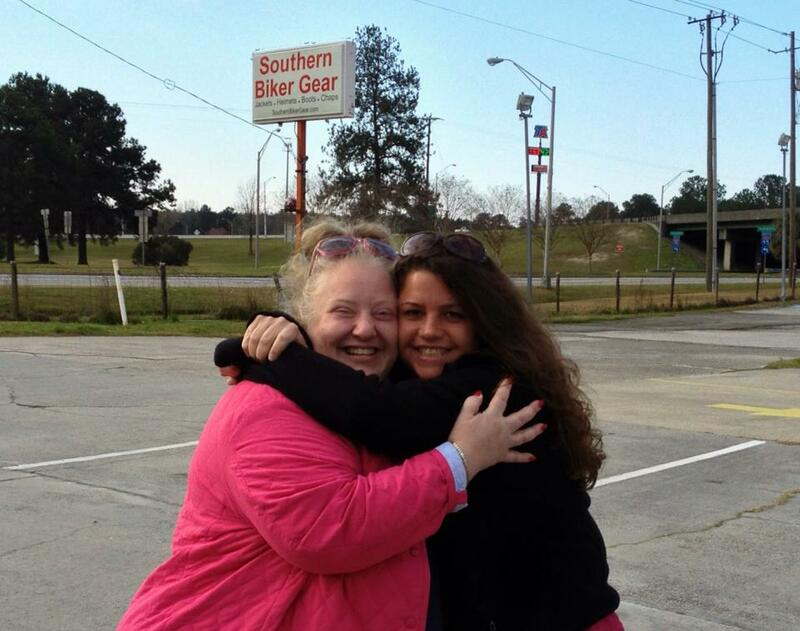 Like you, so many of us are so blessed to have Jackie light up our lives and count her as a friend! Her enthusiasm and pure joy for life makes every day a better day! Jackie is such a sweet, inspirational person. Add me to the list of people thrilled to have met Jackie and have her as part of my life.